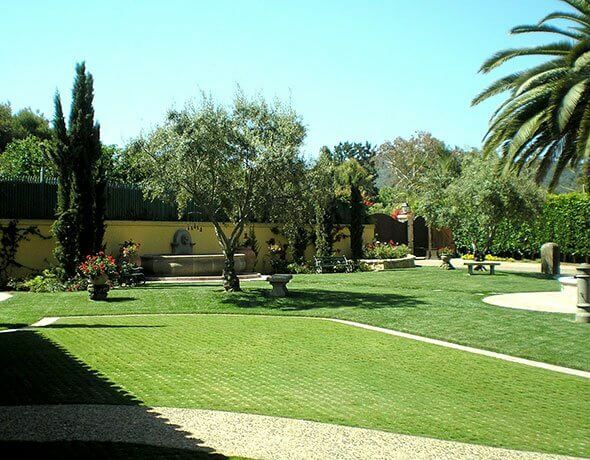 Daniels Landscape Inc. is a locally owned landscape company that provides high-quality landscaping services to clients in Valley Center, Fallbrook, and the surrounding area. 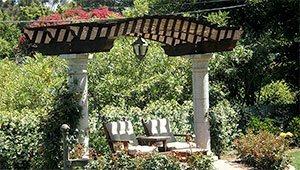 We have more than 40 years of experience and have served the landscape design and construction needs of hundreds of residential clients. 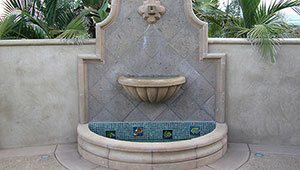 We specialize in bringing together individual hardscape and softscape components to create stunning designs that redefine and elevate outdoor spaces. 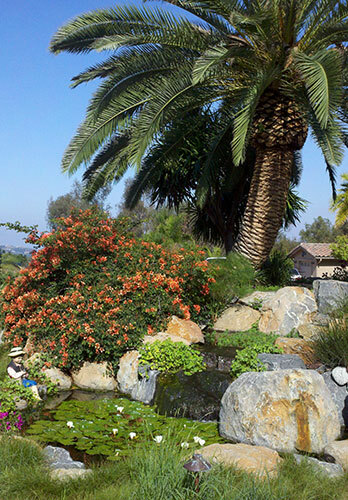 Our superior landscape designs have won several Beautification Awards from the California Landscape Contractors Association San Diego Chapter, and reflect our slogan: "Our passion is to create your paradise." Daniels Landscape Inc. is fully licensed and insured and a member of the Pesticide Applicators Professional Association. 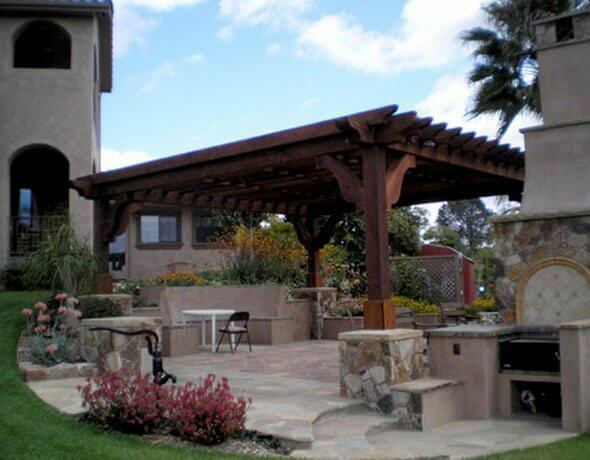 Call today to set up an on-site consultation and estimate. 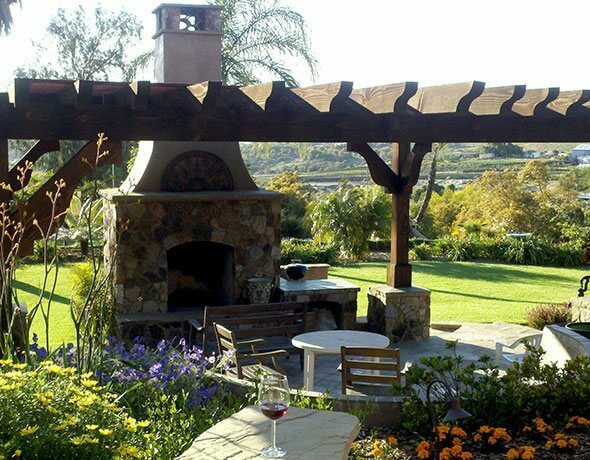 We have the knowledge, skill, and design expertise to renovate landscapes of any size anywhere in the Fallbrook and Valley Center area. 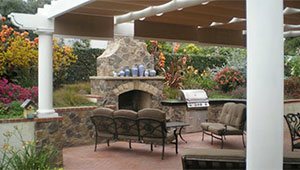 A professionally designed and built landscape can transform even the smallest of spaces into an inviting outdoor environment for relaxation and entertainment. 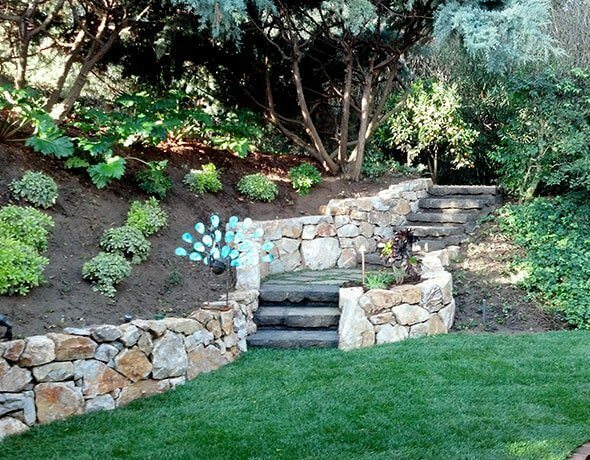 We use hardscape features like retaining walls and levels, planter walls, built-in seating with steps, pathways, and water elements to manipulate the elevation, optimize the space, and create depth and interest. Then, we integrate softscape elements, such as trees, hedges, turf, and plants to add color, texture, and life. Once we are done, we'll present a gorgeous and serene landscape that complements and enhances the look of your property. 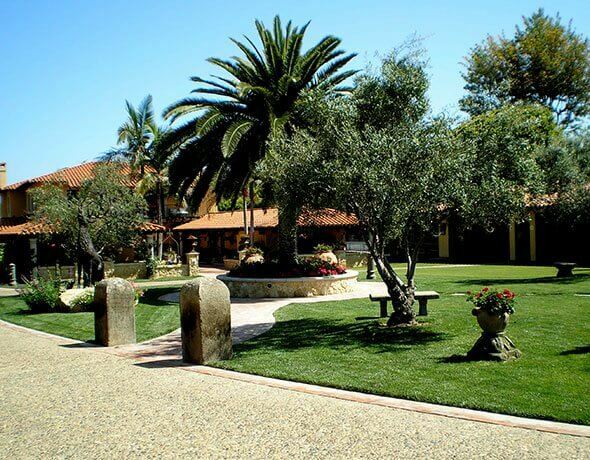 Our landscape renovation services are available to residential clients throughout Fallbrook, Valley Center, and surrounding cities. 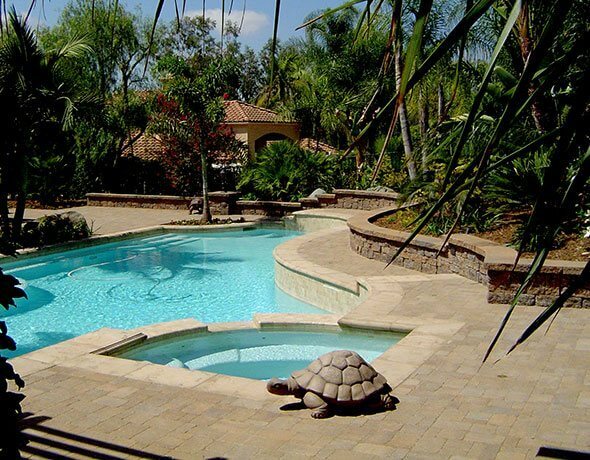 Daniels Landscape Inc. has been providing Fallbrook and Valley Center residents with professional landscape design and construction services since 1984. 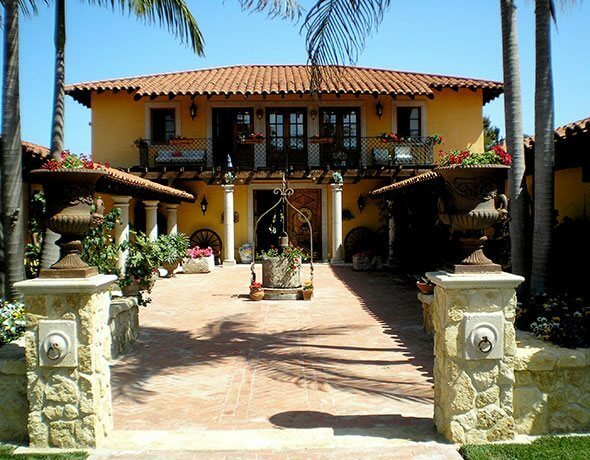 We know that a well-designed landscape has the ability to greatly influence the style, curb appeal, and value of a property. 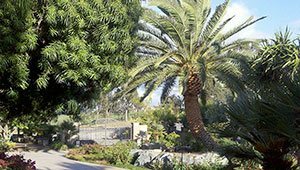 Our president, Dan Olsen, is a landscape design expert who has worked on hundreds of homes and estates throughout North San Diego County. He is known for bringing together individual elements to create cohesive, interesting, and beautiful outdoor environments. We use the highest-quality materials and the industry's best practices to provide superior results that elevate any home to a new level of style and beauty. 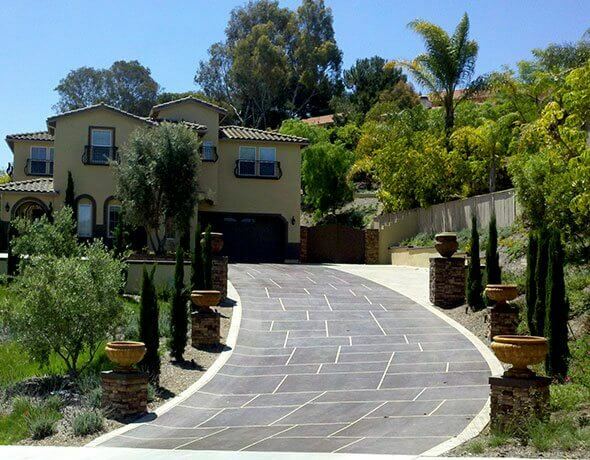 We are a fully licensed and insured landscaping contractor serving Valley Center, Fallbrook, and nearby cities. Our business is built on integrity and a commitment to exceptional customer service. During a consultation, we will take the time to understand your landscape design and build needs and provide honest recommendations for achieving the best results for your budget. We stand behind the quality of our work with a one-year warranty on materials and labor.